You will know who is grooming your dog. Your dog has a name not a number! 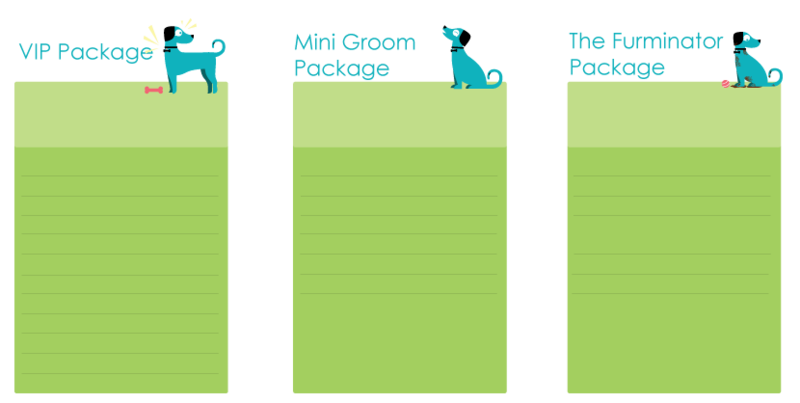 Your groomer will discuss your dog’s specific needs and your expectations. Your dog is our dog and we specialize in providing that extra touch. Designed to remove large amounts of dead fur and undercoat. Feels great to your dog and also helps control the hairy mess in your home! Introduces a pup early to the grooming sounds and feelings. of cut, and special handling requirements. Please call for quote. 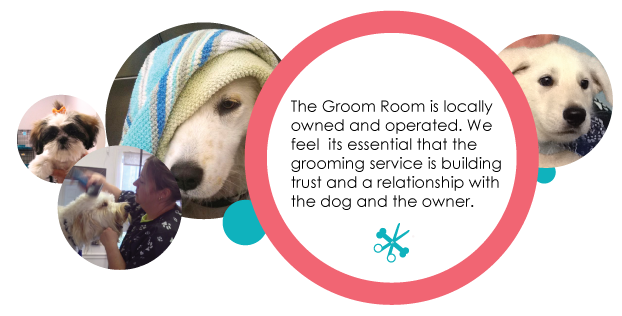 Please help the Groom Room remain flea free. If fleas are found during the course of our groom, it is our policy to perform a de-flea bath treatment and administer a Capstar caplet. (Capstar is a flea treatment recommended and sold over the counter by vets) This process will be an additional cost to the dog owner. For additional information, give us a call or fill out our contact form.